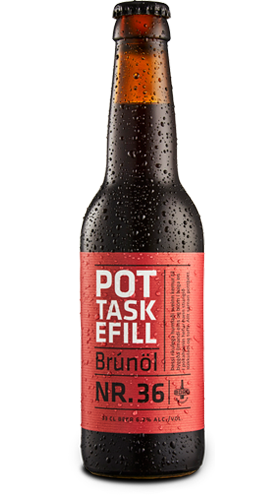 Pottaskefill, or Pot Scraper, is a festive Brown Ale brewed generously with English Fuggle hops that yield an earthy character with an aroma of wood and flowers. The rich variety of malts add tones of toffee and chocolate. Pottaskefill is an ideal pairing with traditional Icelandic Christmas dinner.